When I first read the description for this book, I knew I needed to read it. The story takes place in a small college town that becomes a breeding area for an unknown virus. This mysterious sleeping sickness first exhibits itself in a college student, who falls asleep after a night out with friends. At first no one thinks much of it—students are known to sleep off hangovers—but when no one can wake her up, people start to worry. After a few days, more students fall asleep, and nothing can seem to wake them up. After being brought to the hospital, doctors notice something strange: the patients have increased levels of brain activity. The virus has not only put them to sleep, but also put their dreams into a sort of hyper-drive. There are a few sets of characters throughout this book: Mei and Matthew, two college students who attempt to help people battling the virus; a father and his two young daughters (he’s been preparing for the end of the world, and has a basement stock full of supplies); a young couple and their newborn baby; a therapist who’s been brought in to help patients; and a professor who has been visiting his partner (who suffers from dementia) in a nursing home. Throughout the story, you learn only bits and pieces of these character’s lives. You know who they are, and how they react to the dire situation. However, you aren’t given enough background information, in my opinion, to truly care about what happens to them. I was fine with this, because I was more interested in how they reacted to the situation, and how they coped and tried to survive. As the virus spreads, the town is put under quarantine, and you get small glimpses of what different people are experiencing. Short chapters also look at what the rest of the country is experiencing, but you’re only ever given enough detail to keep you guessing. For some readers, this would undoubtedly be frustrating. For others, it will keep you on your toes, and immerse you into the chaotic setting that the author has created. The Dreamers poses more questions than answers. I don’t want to give too much away, but the book does not provide a conclusive ending. I think that’s the point, though. After enduring such a horrific experience, your life doesn’t just go back to normal. You have to grapple with what happened, and work through the trauma. For the characters in this book, life isn’t easy after the illness passes. It’s hard, confusing, and frightening. I’d recommend this book to fans of Station Eleven, or readers who enjoy lyrical writing. You won’t get a lot of character development in The Dreamers, but the plot and the atmosphere of the book are more than enough to keep you flipping pages. 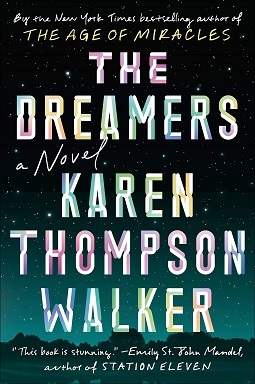 The Dreamers was published on January 15, 2019, and is available wherever books are sold. Thank you to the publisher for an electronic copy of this book via NetGalley.